Stunning views and a huge backyard in la costa! This warm and well cared-for home features a wonderful sunlit kitchen w/ tremendous pantry, over-sized family room, formal living and dining rooms, spacious master suite, 3 secondary bedrooms, owned solar, and then the yard and views. The yard has several seating areas, mature landscape, bbq, and fountain, and plenty of room for anything you can imagine. Close to tons of new shopping and restaurants, businesses, beaches, and so much more. Ocean views! Located in the desirable la costa meadows neighborhood, this 4-bedroom/2½-bath home features downstairs guest bedroom; upgraded kitchen with granite countertops and breakfast bar; high ceilings, plenty of natural light, and storage space including a walk-in attic. 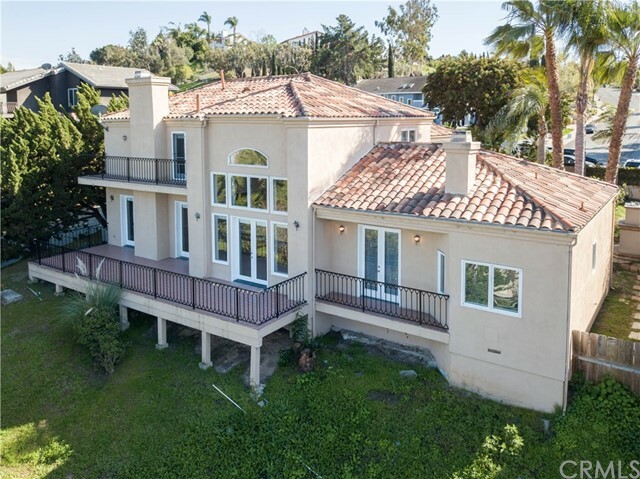 Enjoy beautiful sunsets and ocean views off upper bedroom balconies, back and front yards. Family room has cozy fireplace and opens to large, private yard perfect for family entertaining. No hoa/mello-roos. On a quiet cul-de-sac in highly sought rancho carrillo, this beautiful home has been lovingly cared for by its original owner. Many tasteful updates including wood-look tile on the ground floor and a fully renovated kitchen that boasts new cabinetry, quartz counters, elegant tile back splash, and built-in wine cooler. One bedroom and a stylish full bathroom on ground floor. Master suite and three more secondary bedrooms upstairs. Lush private backyard with water feature is an entertainer's paradise. Seller will entertain offers between $849,000. 00 and $899,000. 00. This beautiful home is located in the community of quintana @ rancho carrillo. A wonderful corner lot with a professionally landscaped yard and a community pool, spa and club house. Beautiful kitchen with granite and stainless appliances. This great home has just been painted and new carpet installed. There is a whole house fan, water filtration system and a portable spa. The garage has tons of storage with cabinets and garage tec flooring. Panoramic views!!! Well-maintained home in exceptional neighborhood. Relaxing tropical private backyard with built-in-bbq, pato cover. The many upgrades include hardwood floors, plantation shutters, surround sound, granite counters, ss appliances, chef's kitchen, and much more. Bed and full bath plus bonus room downstairs, loft converted to 5th bed, huge balcony off master, open social floor plan, high ceilings. Ocean breezes, wide streets, best schools, tons of trails. Easy access to shops, parks, beach. Charming 4 bedroom home in the lovely, gated community of the fairways. Quiet, open & full of light, this home invites you in. Walk into an elegant vaulted ceiling entry with a grand staircase. Enjoy the open living room & dining room with doors to the back patio. Updated kitchen with center island, granite counter tops, stainless steel appliances & dine-in nook. One bedroom downstairs with full bathroom. Neighborhood has 7 interior parks, and 2 walking trails accessed only by this neighborhood. Amazing la costa meadows home w/no hoa or mello-roos! Features include: light & bright open floorplan, upgraded kitchen w/granite counters, vaulted ceilings in the living & dining rooms, entry level bonus room perfect to use for an office, master bed w/balcony & upgraded bath, huge yard with garden-inspired landscape. This family friendly neighborhood is in a prime location - walk to la costa meadows elementary, close to multiple shopping centers, omni la costa resort, golf courses & beautiful beaches.